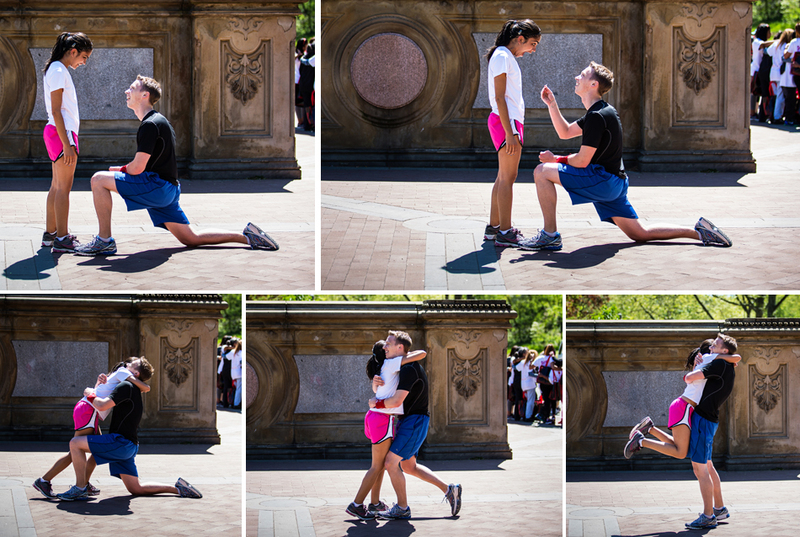 Gopi and Eric share a love of running, so Eric thought that it would be a perfect time for him to propose. I met them at the Bethesda Fountain where Eric sprung the question. SHE SAID YES! 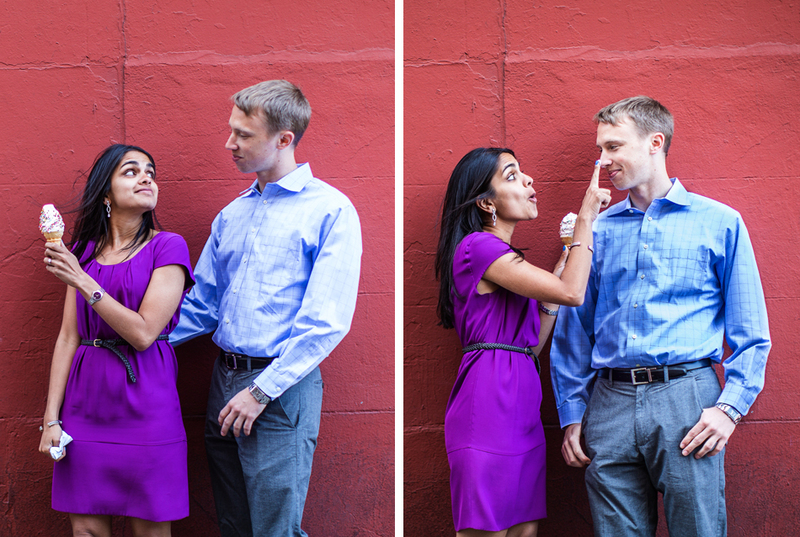 Gopi and Eric went home, cleaned up, and we headed to Washington Square Park. It was a gorgeous day so the people were out in the masses. Trying to get a shot of the couple without other people in the frame was next to impossible so I decided to shoot wide open at f1.2 so that I could blur the entire background and surrounding people(photography lingo). We had a great shoot at the park, on a cool stoop in front of an apartment, and eating ice cream. This entry was posted on Monday, May 6th, 2013 at 11:42 am. 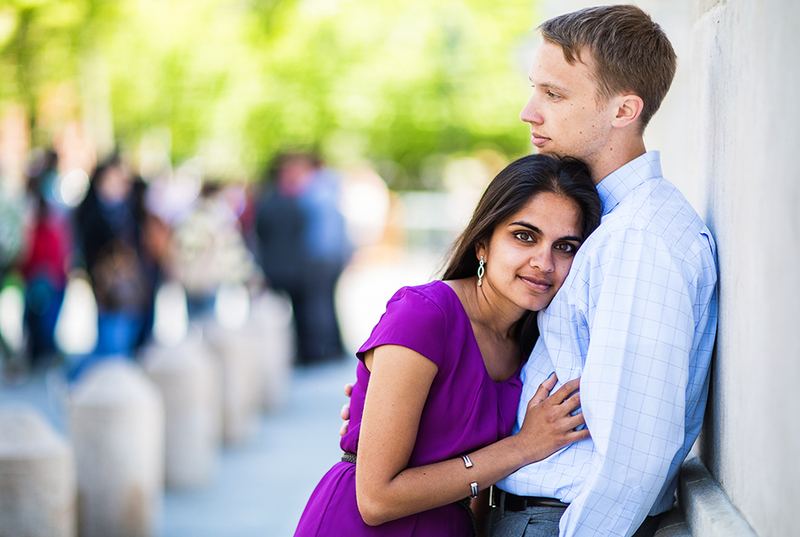 It is filed under Client Albums, E-Sessions, Portraits. You can follow any responses to this entry through the RSS 2.0 feed.